This is the part of the spindle that will hold and grip the end mill at the spinning part of the spindle. This is a collet for smaller spindles with the ER-11 specification. Note: The Quiet Cut Spindle that we sell comes with a 1/8" collet and collet nut. 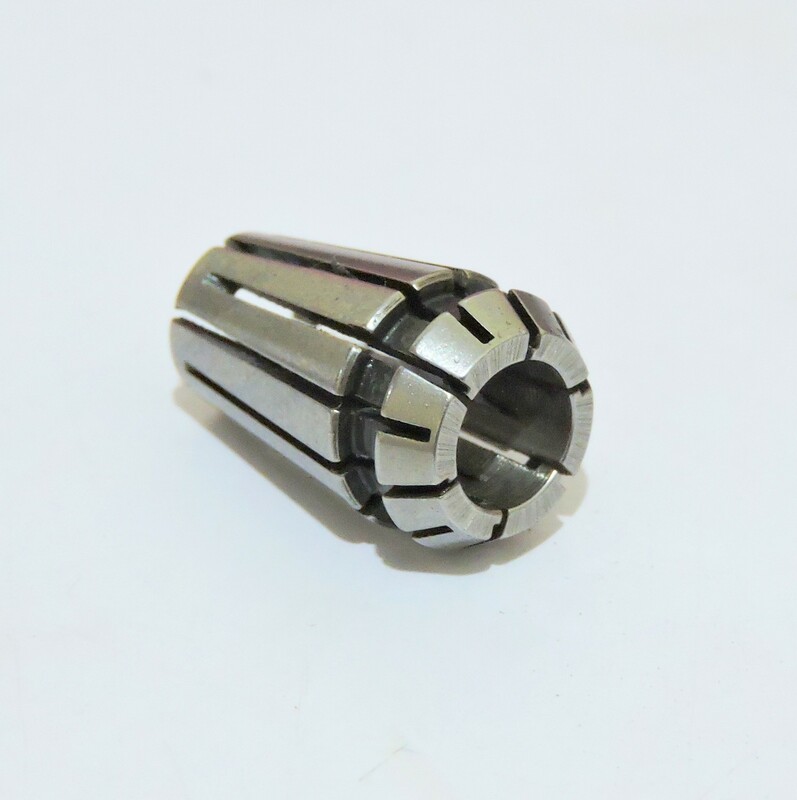 This collet is compatible with quite cut spindle available on our website. This only work with ER-11 spindles. They do not fit commercial routers or rotary tools, like DeWalt, Bosch, Dremel, Porter Cable, etc. 01 pc of ER 11 Collet 1/8 inch.